We are excited to announce the publication of a new book, Codes for North, commissioned for our 50th anniversary. 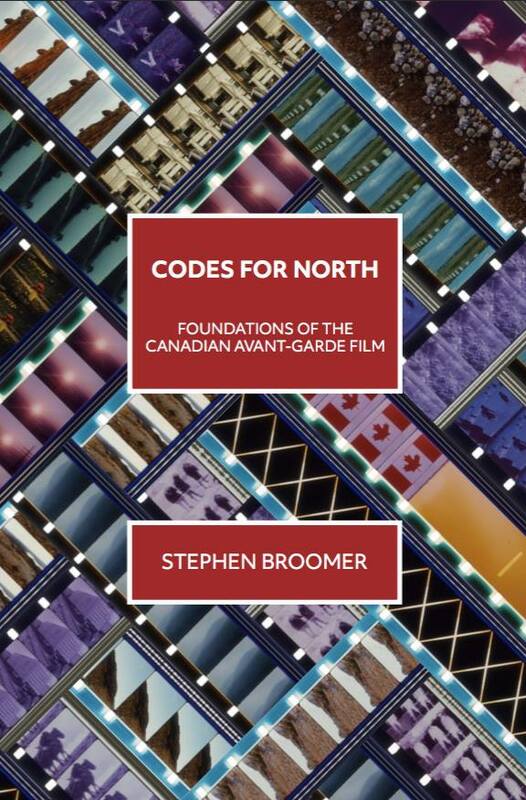 Written by filmmaker and scholar Stephen Broomer, Codes for North is a study of the early evolution of Canadian avant-garde cinema through three artists essential to CFMDC's collection: Jack Chambers, Michael Snow and Joyce Wieland. Available for $20 (+ shipping) from CFMDC. To order, download and fill out Order Form: Codes for North. Codes for North locates the roots of Canadian avant-garde cinema in an aesthetic of difficulty, traced through the works of three artists: Jack Chambers, Michael Snow and Joyce Wieland. Broomer covers the evolution of their art from their early development as painters in the 1950s through the creation of their epic films: Reason Over Passion (Wieland, 1969), The Hart of London (Chambers, 1970) and La Région Centrale (Snow, 1971). Their work formed in response to a strain of Neo-Dada that took root in Southern Ontario in the late 1950s. From this they developed their individual practices, in directions marked by the purposeful difficulty of late modernism. For Chambers, that difficulty lay in the interstices between lyricism and outrage, and the rare, transformative experiences of heightened perception. For Wieland, purposeful difficulty came in a collision of earnestness and wit to compose a deeply ironic, militant sentimentality. And for Snow, difficulty formed in the flexible rules of an invented game, self-prescribed boundaries within which to improvise. These artists focused their individual energies on creating major works that were not only cumulative achievements of purposeful difficulty, but which were also distinctively about Canada the ephemeral - a nation wrestling with its identity, its cultural sovereignty, and its future. Stephen Broomer is a filmmaker, writer, and film preservationist. He has preserved films by Greg Curnoe, R. Bruce Elder, John Hofsess, and Arthur Lipsett. He is the author of Hamilton Babylon: A History of the McMaster Film Board, and his writings on Canadian cinema have appeared in CineAction, La Furia Umana, and Found Footage Magazine. Broomer's films have screened at venues such as the TIFF Bell Lightbox, Cinémathèque québecoise, and the New York Film Festival.